So you've made the amazing step of starting your own business! You've done your research, made a plan, chose a name and now the hard work begins! Running your own business is one of the most rewarding things you will ever do but it will also be at times extremely stressful and tiring. You will have many sleepless nights but if you work hard enough it will all be worth it. Did you know that 80% of new businesses fail in the first 18 months? One of the main reasons for this is because new businesses simply don't advertise themselves well enough. If no one knows who you are and what services you provide no one is going to buy from you. Well lucky for you Gala Graphics has made a top 5 list of printing advertising essentials that you need for starting a new business. Printed leaflets are a fantastic cost-effective way to advertise new and small businesses and are significantly cheaper than investing in digital marketing campaigns. 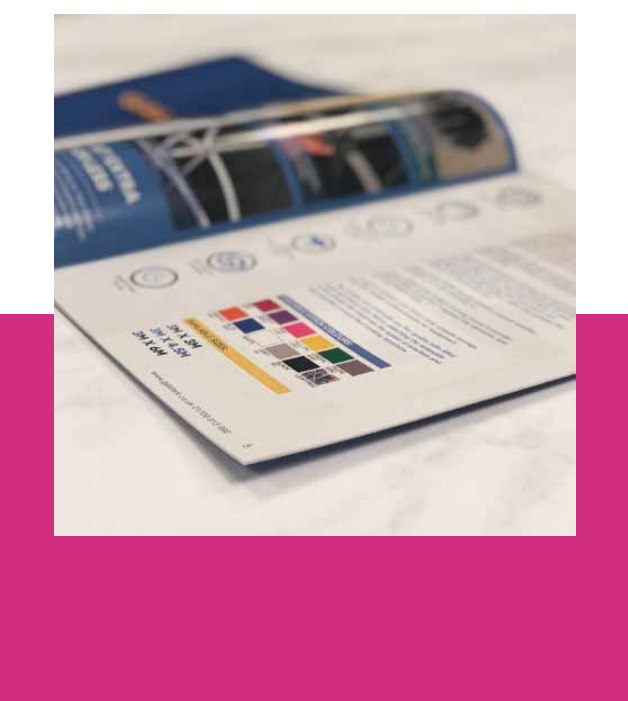 A brochure is key for advertising your services, products and is one of the most cost-effective marketing tools High quantities of both can be produced at a low price and our in house leaflet design team can help you with the design. Gala Graphics has a wide variety of options from single sided leaflets to double-sided folded leaflets that can make your business stand out from the crowd. A good quality business card is the most valuable tool you will ever have in your arsenal. Your business card will perform a multitude of tasks. It will project your business image and leaves a reminder long after you and the recipient have parted company. It may be passed between people and become an invaluable referral tool. Do not scrimp and scrape on cheap business cards, they reflect you and your business. If you pass a possible future client a cheap, flimsy business card what does that say about your company? Gala Graphics can produce high-quality business cards that project your company in the right way. A creative and well thought out branded clothing and workwear design will improve the perception of your company to both your clients and potential customers. Your clothing is your businesses personality and is also an amazing advertising source. Gala Graphics offer a wide range of clothing from printed t-shirts and printed polo shirts to printed/ embroidered softshell jackets and branded workwear trousers. Having such a large range of clothing enables us to cater to any budget or event. Because all our clothing is printed or embroidered in house it means we can cater to any order large or small and advise what is best for your company or brand. Advertise your business outdoors with our printing banner service. A good quality PVC banner in a good location can attract a huge amount of footfall to your business. Our high-quality PVC banners are produced in house and can be sent out in as little as 2 days! Small PVC banners to Large PVC banners can all be produced to quick timescales. Your business logo is the face of your company and has an important impact on your businesses public perception. In fact, a good quality logo is one of the most important investments a new business can make. Brand guidelines play a vital role in managing the perceptions of your company with customers, investors, journalists, and the general community. Professional brand guidelines are essential to build and reinforce a consistent perception of your company. We’re very excited to finally announce that our SHINY new refreshed website is live! After months of planning, designing and developing, we’re thrilled to see all our ideas come to life. Not only have we re-designed our whole website, we’ve also re-branded the entire company. Our new website has been designed with a contemporary look and it’s simple to navigate, enabling visitors to locate items more quickly and easily. Over the past few years, we’ve expanded our product range and services including a full bespoke design service at an affordable price. We’ve invested in two new printers including our dye sublimation printer to allow us to print HD plastic, card, paper and fabric IN-HOUSE! As the printing process has been brought back to the UK, we’re now able to an offer super quick turnaround times at a competitive price. From business cards and brochures to wide format banners and exhibition equipment, we can provide everything you need to ensure you stand out from the crowd! Since introducing the design service at the beginning of the year, we've LOVED creating some beautiful designs and logos for our amazing clients. Design is a critically important aspect for all businesses as not only does is attract attention from potential clients, but it also enhances the quality of your brand presence. 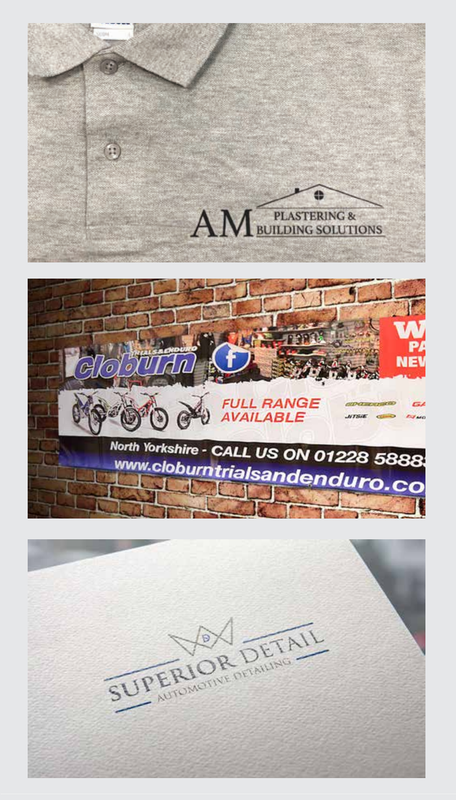 Re-branding can be tricky when you’re developing the ideal logo, finding the perfect colour scheme and making the right font choices so why not let our talented Graphic Designers do all the hard work for you. Feel free to email info@galagraphics.co.uk or call us on 01709 913955 for a FREE no obligation quote. Keep an eye out on here as we’ll be updating our blog on a regular basis, so you don’t miss out on the latest new within the print/design industry. Make sure you also check out our Facebook and Twitter for our latest offers.